Every family needs a family room. A 20' x 17' foot room was added to the back of house, adjacent to the kitchen. 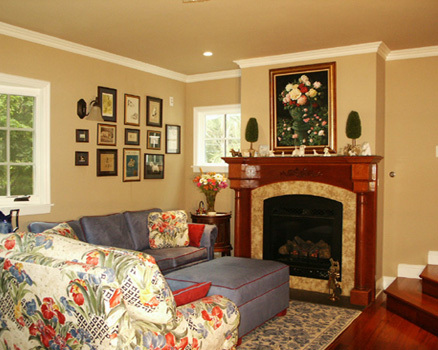 The custom cherry mantel surrounds a gas fireplace to add warmth to the room, while classic colors make it comfortable year round.